Winter day trips and getaways in Ontario resort destinations offer winter experiences and activities that are fun for all ages. We listed our Top 10 family winter activities but what about couples or single travellers? What is winter all about for them and what can they do? There are day trips and getaways for all traveler types with a broad range of active or relaxed activities. Couples can warm up this winter at a number of great destinations and resorts up north. You can decide from luxury to rustic, with all the snowy activities or none. Either way, your perfect winter getaway with your loved is waiting for you. If you’re looking for family fun, check out our top 10 winter activities for families. Winter Carnivals celebrate all that is winter with many winter activities to keep you active and enjoying winter. Winter Carnivals warm up any weekend with events and winter sports as well, some festivals last a day, some the whole weekend. Where up north can you do these awesome winter activities? Look no further than the next paragraphs. Algonquin Highlands is a beautiful, park-like municipality nestled among myriad lakes and rolling hills. Located on the western side of the Haliburton Highlands, life here provides a wide variety of year-round activities and events as well as an engaging and relaxed lifestyle. Our trails, complete with maps and guidebooks, provide endless beautiful vistas, waterfalls, canoeing, snowshoeing, cross-country skiing, cycling and snowmobiling. Arts and heritage are alive and well with museums, galleries and quaint small town shopping. Algonquin Park is nearby, as are dozens of resorts, rental cottages and B&Bs. 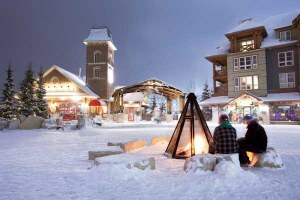 Framed by turn-of-the-century Ontario architecture, the Village offers a wide variety of romantic accommodations, winter activities, events and attractions including over 40 unique shops and restaurants. When the snow flies, the Haliburton Highlands is transformed into a winter wonderland. Boarders and skiers will find their own slice of paradise at Sir Sam’s Ski & Ride. This famous destination features 14 groomed runs and an enclosed 1,100-foot-long surface lift. Cross-country skiing is the perfect activity for some fresh air and a full body workout. Explore the many Frost Centre Nordic Ski & Snowshoe Trails in Algonquin Highlands as well as the groomed trails managed by the Haliburton Highlands Nordic Trails Association. Snowmobilers will be thrilled to discover 370 kms of groomed trails managed by the Haliburton County Snowmobile Association, plus 300 more at Haliburton Forest. Or you can dash through some fresh powder with a team of four-legged leaders at Winterdance Dogsled Tours or Haliburton Forest. See why winter getaway packages in Muskoka are some of the best in Ontario. With cozy accommodations and tons of fun winter activities, your Muskoka winter getaway will become an annual retreat. The picture-perfect setting, cozy accommodation styles, and tons of ‘just the two of us’ activities to choose from make Muskoka the perfect romantic vacation getaway! Just one hour north from Toronto but miles away from the hustle and bustle of the city; Ontario’s Lake Country is your four-season destination. Whether it is a trip for two, a day trip or a getaway for the whole family we have it! Ontario’s Lake Country is Orillia and area’s four-season playground and certainly is not short of things to do in the winter. Experience and embrace winter like you have never done before. Many operators offer special packages and experiences that tailor exactly to what you are looking for. Snowshoeing, skiing, tubing, snowmobiling and dogsledding are just the tip of the iceberg that the region has to offer. After visiting Ontario’s Lake Country, your only wish is that you had more time to experience it longer! Cradled between the Ottawa River and Algonquin Provincial Park in Ontario’s Highlands, the Ottawa Valley is a place steeped in culture where you can immerse yourself in our unique blend of heritage and outdoor recreation. With more than 2.4 million hectares (6 million acres) of pristine waterways, rolling woodlands and forests, our river and trail networks challenge and test the might and mettle of every explorer to our region. For adventure and exploration, a romantic getaway or family holidays, the Ottawa Valley is your place to stay and play. The Town of Midland is situated at the gateway to Georgian Bay’s picturesque 30,000 Islands. Our culturally rich Town has become the nerve center of North Simcoe for economic prosperity, fabulous lifestyle in idyllic surroundings and an abundance of recreational pursuits. Midland winters are perfect for all winter fun activities like snowmobiling, cross country skiing, skating, snowshoeing and more! Use our 400Eleven Google Places Map to plan your perfect winter day trip or getaway.